OUR PRICE: $163.90 - Join Rewards Get $16 Dance Dollars On This Item! The Breeze is a unique design which can be used for teaching, practicing, and competing. 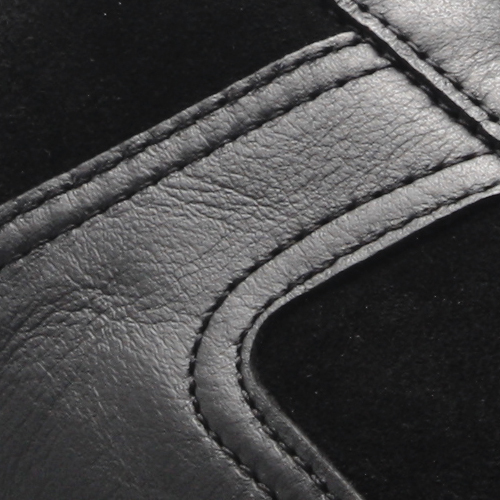 This style is made from the softest leather and suede for comfort and to allow the foot to articulate with ease. A foam lining is also used for additional comfort and has a specially designed centered contour heel for excellent stability and balance. This style benefits from a distinctive split sole design giving greater flexibility. This shoe also benefits from a durable latex arch support. Perfect for men and women. Please see sizing chart for size conversion. Item normally ships in 3-5 days, out of stock items will take 1-3 weeks to ship. Suggested Fitting: UK Sizing: Ladies order 2 sizes smaller than your US size, Men order one size smaller than your US size. Over the past 4 years, I have purchased 2 pairs of this particular shoe. I teach 5 to 6 days a week, from 4 to 12 hours a day (depending on the day). Both pairs are still in great condition, just a little more broken in. 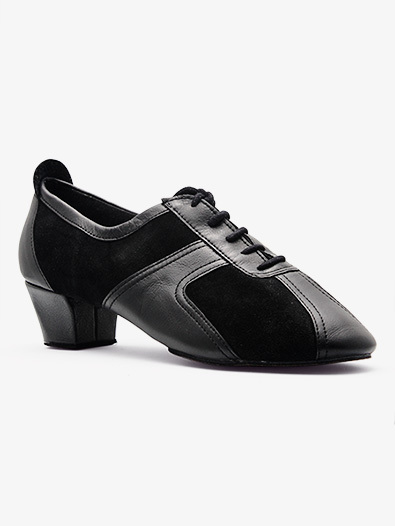 The split sole is great for flexibility while the squared heel is great for stability. However, I will caution that this must be broken in like a dance shoe. Meaning, I wear a 7.5 street shoe. I purchased a 5.5 based on conversation recommendations. But, when I put on the 5.5 and pointed my toes, the heel slipped off. I have a narrow heel and ankle. So, I went down to a 5. It was a bit tight, but not more than new ballet slippers when properly fitted. I wore thin to average athletic socks at first. Now, I'm wearing thicker socks because they've stretched. My break-in time was short due to how often I teach, but it's leather and they stretch and form well to your foot- patience. If you trust the sizing and process, you'll love these! Most coaches, judges, and instructors I know wear these shoes when teaching or practicing. I have been off dancing for several months due to two heel spurs and plantar facitis. I need a shoe with tremendous heel support and arch support. I need cushioning on the ball of my foot, as well. What can you say about this shoe to meet my needs? This shoe is excellent quality and will provide ample support. Unfortunately it is not made with extra features to increase stability and cushion. We do have one excellently cushioned and supported shoe but it is a regular character shoe. That style number is #C101M, but it may not be appropriate for the type of dance you are doing.